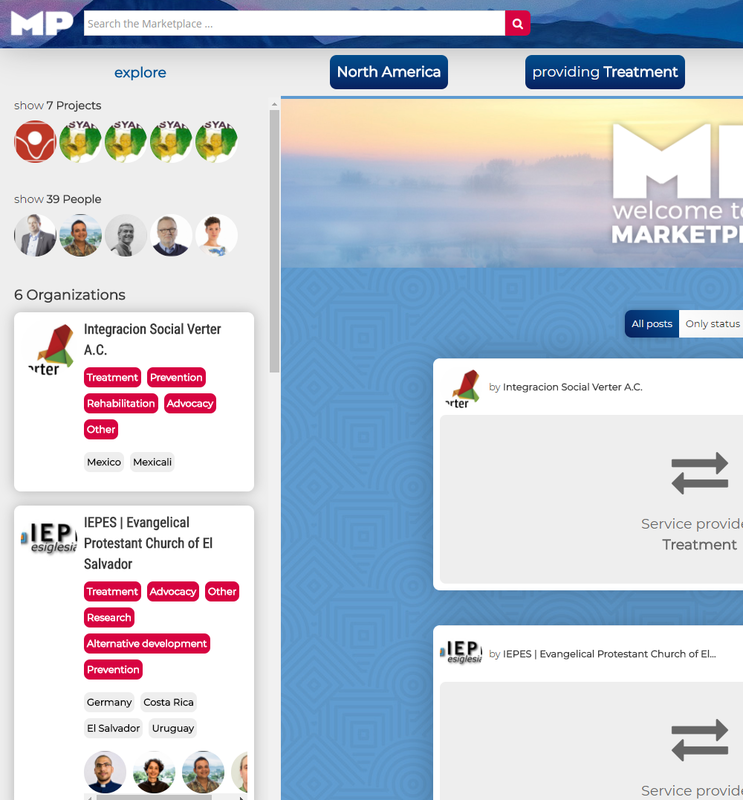 The Marketplace’s powerful search & matching engine makes it easy to find organizations, projects, and people that fit specific criteria. 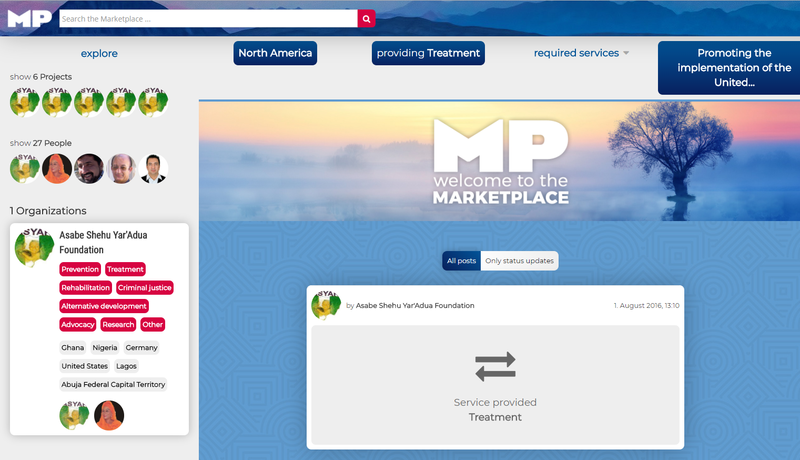 The search engine can be accessed through the home page. 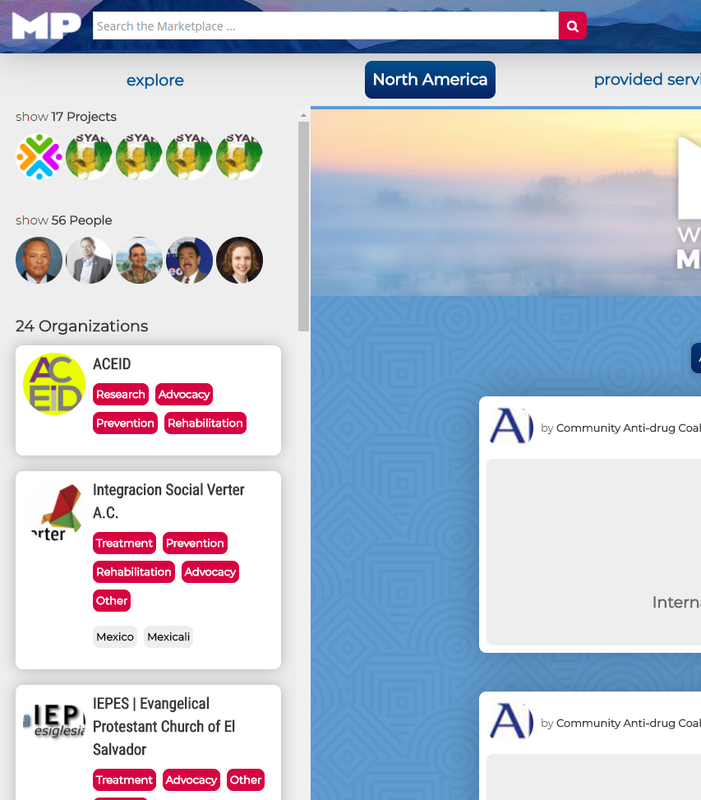 To find organizations geographically, click on the “places” filter above the main news feed. It is equally easy to find organizations by the services they provide or require. For that, click on either or the two service filters above the main news feed. It is also possible to find organizations by the UN declarations or UNGASS outcome chapters that they support. For that, click on the support filter above the main news feed. If you have created a profile for your organization, it is very easy to find other organizations that you may establish partnerships with.